In this 21st century where we talk about environmental issues, impacts & life with new technology. Well, there is no doubt that due to the human greediness of getting more resources & more comfortable life, we are destroying environment & creating new technology that either directly or indirectly harms our atmosphere. As we are becoming more aware & concerned about our environment after observing many bad impacts of human technology on climate change as global warming is increasing day by day, depletion of ozone layer is visible, health issues are taking place in this hectic life. Somehow, somewhere, we all want a peaceful & healthy environment to survive and see our new generation enjoying it too. You must have heard about environment-friendly products, known as green products or green technology. Today, it is in trend to buy green products for our betterment. LED bulbs are also in the queue of green technology. Now you must be curious to know about LED bulbs that how it is environmentally friendly and how it is different from the incandescent light bulb or fluorescent lamp. How/Why LED Bulbs Are Good! Explained! 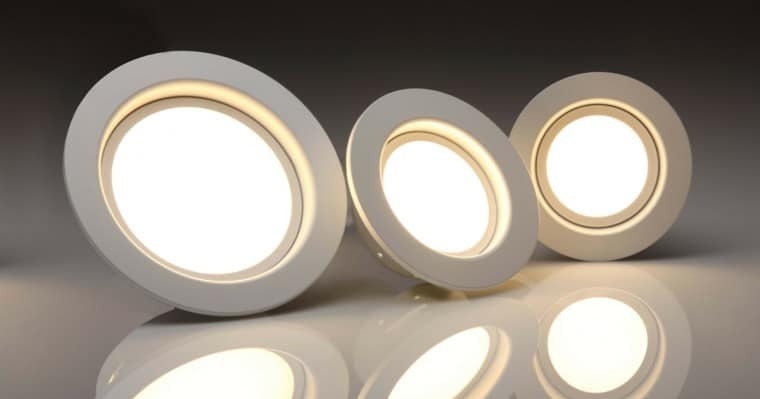 LED lighting can be used for any propose like industrial lighting, architectural or horticultural applications, it is popularly known as the most environmentally friendly lighting. It lasts 20 times longer than other lightings & therefore no need to replace it often. Reduces the impact of manufacturing, packing & shipping of it. It is designed in a way, where there is no maintenance service required around a decade, so less servicing means less environmental impact. LEDs burns less energy than other lighting sources as HID (high-intensity discharge) lights. LED uses 2-17 watts of electricity (25% – 80% less energy than other lighting systems). LED lamps allow for a great reduction in power consumption. Longer life cycle of 40,000 hours while it is only 8,000 for CFL & 1,000 for incandescent lights. It contains no hazardous/toxic material like fluorescent bulbs. Reduction in CO2 emissions by 1,742 lbs. While talking about Fluorescent lamps, it contains mercury where LED doesn’t. Many fluorescent lamps are categorized as hazardous waste. Fluorescent lamps are segregated from general waste at the time of recycling or safe disposal on the recommendations of The United States Environmental Protection Agency. Fluorescent lamps are dangerous for our water, if it is thrown into the sea, marine life could face problems. The light-emitting diode (LED) light bulb is less harmful to the environment, according to a new report from the Department of Energy’s Pacific Northwest national Laboratory. PNNL’s solid-state lighting testing, analysis & deployment efforts’ manager Marc Ledbetter said that LED lamp is rapidly evolving technology while energy efficient & it will be even more in upcoming years. According to Marc Ledbetter’s analysis technology advancement in future will help those people who use LED lamps to keep shrinking their environmental footprints. The team is expecting that the LED bulb of 2017 will have 50% less environmental impacts than today. We hope that in future, we will have an excellent green technology to preserve our environment since we are very well aware of the fact that without nature & balance in the environment, we are nothing or we can lose our existence if we don’t take steps to protect our air, water sources, soil etc. Live Green, Live Happy! Light your home with LED lamps! 1 Comment on Why LED Bulbs Are Good For Our Future & Environment?